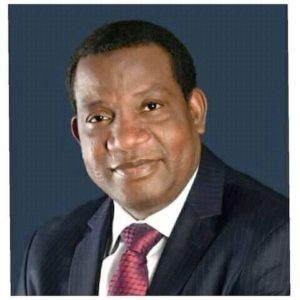 Plateau State Governor, Simon Lalong, began his administrative functions on 2nd November, 2015, with a solidarity message to Journalists in the state, the country and across the world, as the Nigeria Union of Journalists (NUJ) joined other Journalists across the world to commemorate the “International Day to End Impunity and Crime against Journalists”. Governor Lalong in a message through the Commissioner of Information and Communication Yakubu Dati explained the strategic importance of journalists in the socio – economic and political well being of the country and the world at large that has earned them the status and are being referred to as members of the fourth estate. This he said is because, “Journalists serve as nexus of all spheres of human endeavor, bringing information and knowledge of happenings around the world to people”. Governor Lalong appreciates the great sacrifice of journalists, “as they sometimes work in difficult environments with some paying the supreme price”. He assures that his administration would continue to provide the enabling environment for a free press, but however cautions against professional misconduct and the spread of fake news. He commended the national body of the NUJ for creating an insurance policy for its members and urged all journalists to key in. Same month, the Governor, who became personally involved in the alleged killing of late Gen Alkali in a village in Du District of Plateau state dragged his administration completely into the matter to see how the issue could be resolved more democratically in order to availed the known soldier boot treatment of the Military. Governor Lalong, putting his life and the safety of the people first in line took on a surprised visit on the family of Late Alkali in Abuja, while paying a condolence visit to the chief of staff, Lt. Gen. T.Y Buratai at the Army Headquarters in Abuja, where he showed and expressed sympathy with the Military over the untimely demise of Late Maj. Gen. Idris Alkali whose remains was officially laid to rest on Saturday 3rd October 2018 at Gudu Cementary in Abuja, Nigeria. 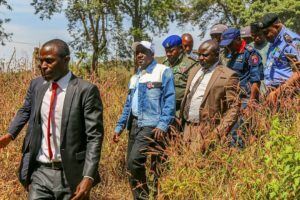 During the Month of November, the Governor of Plateau state, Governor Simon Bako Lalong promised that his administration was set to begin the training of some members of the state’s Council of Boys Brigade of Nigeria in Skill Acquisition, as a way of empowering them and developing the youth segment of the state. Governor Simon Lalong made the commitment, shortly after his investiture as the grand patron of the state council of the Boys Brigade. 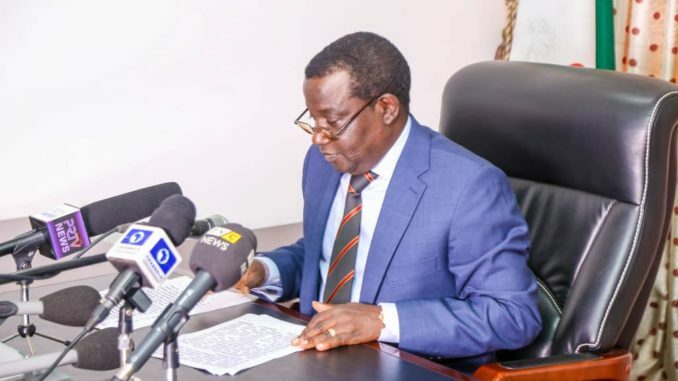 Governor Lalong further disclosed that his administration is establishing two additional vocational training institutions in the state beside the Government Technical School Bukuru to equip the youth with vocational skills. Acknowledging the role of the Boys Brigade in internal security, Governor Lalong said some of them will be trained on intelligence gathering. The governor lauded the Boys brigade for its services during security challenges in the state, saying such sacrifice will not go in vain. The Governor in November, 2018, bagged the Grand Patron of the Boys Brigade. President of Plateau State Council of the Boys Brigade, Barr Sunday Gye, said the investiture is in fulfillment of section thirty-four. 34 (C) of the Constitution of the organization, which stipulates that in each state the boys brigade exist, the Governor of the state becomes its grand patron. Governor Simon Lalong received the report of the Committee for the Resettlement of Internally Displaced Persons (IDPs) on 12th November, 2018, in Government House Jos, from the Committee’s Chairman AVM Danbaba. Early in the same month before the report was submitted, the Governor had taken proactive steps by securing a Police Mobile Barracks at Barkin Ladi LGA, the passage of necessary Legislation to Prosecute Offenders in Jos, and the establishment of the PLATESU Peace Agency. 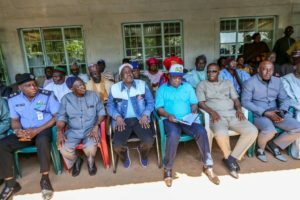 In the month under review, Governor Simon Lalong visited Gashish for an on-the- spot inspection of the proposed site for the newly proposed Police Mobile Force Squadron. 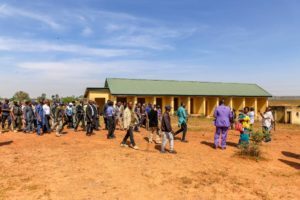 This according to the ruling All Progressives Congress (APC) administration in the state is part of efforts for the Resettlement of Internally Displaced persons to their Original abode. 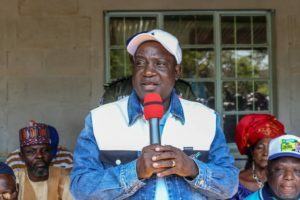 The Plateau State Governor Simon Lalong in November, the month under review, warned those who have forcefully annexed homes and villages in areas around Gashish community of Barkin Ladi Local Government to relinquish them, as they are living on borrowed time because of the comprehensive security strategy that would be implemented by government. In the other hand, the Governor appreciated Nesco’s gesture for providing housing for the Mobile Police drafted to the area temporarily and promised, while promising that government would immediately rehabilitate the facility to enable the mobile police unit to begin operating at optimal capacity within record time. 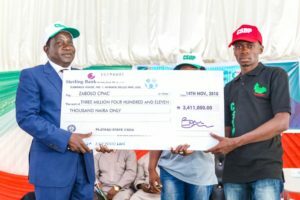 Lalong further disclosed that his administration had released funds for Secondary School Students in the area, who missed their School Certificate Examination because of the recent cases of violent attacks. You would recall that besides the Nesco facility in the Kusa main office of the company, Gashish community also donated 75 rooms for the Mobile Police unit. 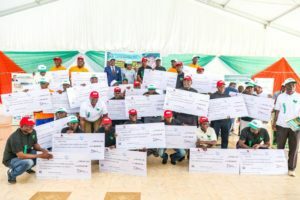 The big boast in November, 2015, Governor Simon Lalong, presented Cheques to 28 benefiting communities for rural projects under the Plateau State Community and social Development Agency. According to the General Manager, Mrs. Felicity Gurumyen, N636 million has been disbursed to communities who have embarked on 59 micro projects based on their felt needs in different sectors.